UK delivery within 5 working days. Est. 26 April - 1 May. 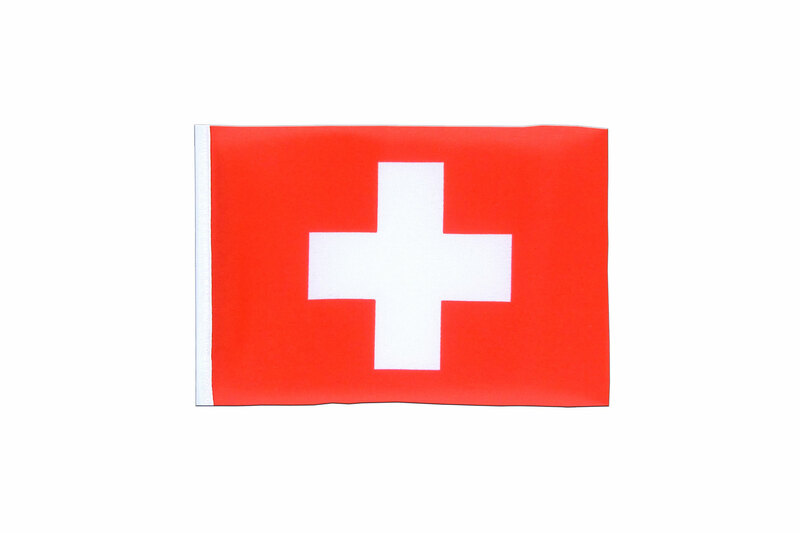 Mini Switzerland flag in size 4x6", made from heat cut polyester flag fabric. 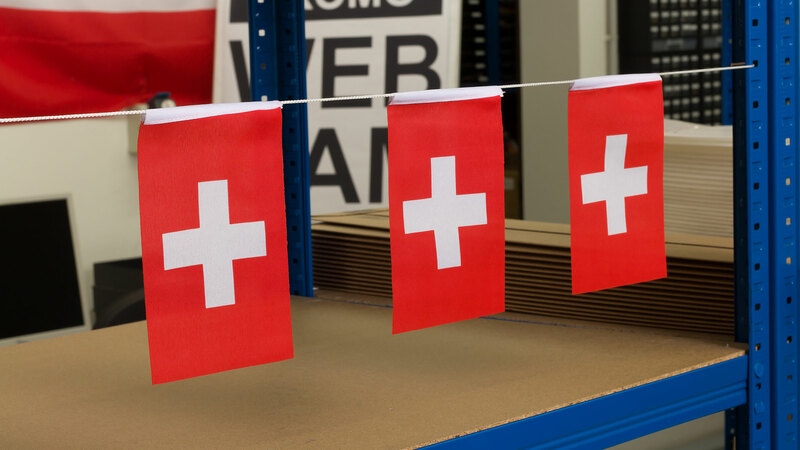 Here you can find all sizes and designs of our Switzerland flags for sale. A mini bunting requires 1 metre of 2 mm flag cord and 4 mini flags. Carefully thread the cord through the pole sleeve and position the flags with 10 cm between them. This will leave 10 cm of cord at each end for attaching your personal bunting. 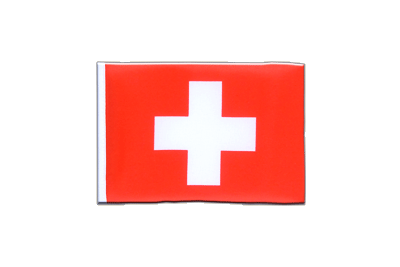 Switzerland - Satin Flag 6x9"
Switzerland - Little Flag 6x9"